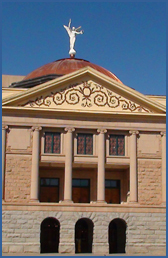 Arizona Council of Human Service Providers – What’s New in Behavioral Health and Child Welfare? What’s New in Behavioral Health and Child Welfare? Home What’s New in Behavioral Health and Child Welfare? Join us for the 2018 Day at the Capitol on Wednesday, February 14, 2018. Are you concerned about issues that impact your community’s most vulnerable populations?